The youngest of the martyrs, Kizito, was born at Waluleta (for¬merly Bukkanga) near Bbowa in the county of Bulemeezi. 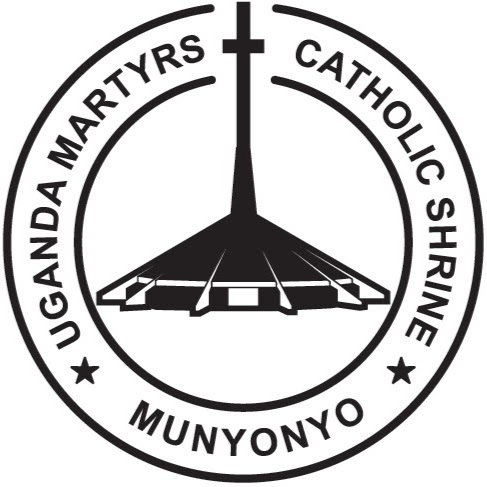 As in the case of so many of the martyrs, there has been some confusion about his parentage and ancestry, owing to the ambiguity of the Luganda terms of relationship. Kizito’s real father was Lukomera of the Lungfish (Mamba) Clan, and his mother, who bore Lukomera nine children before she deserted him and died, still a pagan, at the age of forty, was Wanga¬bira of the Civet-cat (Ffumbe) Clan. Nyika, or Nyikomuyonga Guardian of Mwanga’s umbilical cord, often said to be the father of Kizito, was his father by adoption only. The relationship arose from a blood-pact between Nyika’s father Kiggwe and a member of the Lungfish Clan named Mitalekoya. Kiggwe, a descendent of Ka¬baka Kateregga and a member of the Leopard (Ngo) Clan, was county chief of Ggomba when he made this alliance. Later he incurred the royal displeasure, was deprived of his office and possessions and be¬came, because out of favour with the Kabaka, virtually an outlaw. In this time of adversity, the blood-pact stood him in good stead. Because of it, the Lungfish Clan gave him and his family asylum and aid, and Mitalekoya became a second father to his son Nyika. During Muteesa’s reign, Nyika managed to restore the family for¬tunes and rose to the position of Kangaawo, county chief of Bule¬meezi, a position which he held when Speke, who refers to him as ‘Congow’, visited Buganda. As county chief, Nyika was able to show his gratitude to the members of the Lungfish Clan for their timely succour and assistance. Amongst the appointments he made was that of Kizito’s father, Lukomera, to a chieftainship in the county. Then, in 1874, Nyika in his turn lost the royal favour. He was deposed, stripped of all his property and left destitute, until the Kabaka relented sufficiently to give him the small chieftainship of Kajongolo. It seems to have been about this time that Nyika decided to adopt one of the sons of Lukomera, who had shared in his down¬fall. He asked for Nsubuga (later baptized Michael) but Lukomera persuaded him to take Kizito instead. The young Kizito’s future seemed assured when first, Kabaka Muteesa restored to his adopted father the title of Namutwe, and then Mwanga, on his accession, appointed him Guardian of the Cord, a post second in importance to that of Chancellor. With a patron of such importance, the youth could expect rapid advance¬ment and the first step towards this was taken when Kizito became a royal page. Although his prospects seemed rosy, even the most sanguine could not have foreseen that this young lad would achieve immortal fame within the short space of two years. As a page, Kizito was attached to the group which served in the private quarters of the enclosure and not, as previously thought, to that under Charles Lwanga in the court of the audience hall. It is likely that he had become interested in the Catholic religion before entering the royal service, because Nyika, although too much at¬tached to pagan ways and to his numerous women to become a Christian himself, was very well disposed towards the Catholic Fathers and placed no obstacle in the way of any member of his household who wished to follow their religion. The youthful Kizito, continuing the family tradition, became an eager and fervent catechumen, seizing every opportunity for in¬struction and, after the martyrdom of Joseph Mukasa, constantly importuning the priests to baptize him. He seems to have been em¬ployed largely as the Kabaka’s errand boy. It was he who was sent to the Lake to order the canoes for Mwanga on the fateful day, 25 May 1886. He also used to be sent to collect, drive to the Palace and deliver to the royal butchers the cattle selected for slaughter for the royal table. Being young, cheerful and good-looking, he was also one of the objects of the Kabaka’s unnatural lust. However, in this child of about thirteen the tyrant encountered a resolution and resistance to his gross passion that put him to shame. Members of his clan suggest that Kizito was about sixteen when presented at Court, but the general opinion of those who knew him is that he was no more than fifteen, at the most, at the time of his death at Namugongo. Nevertheless, despite his youth and his small size, he was sufficiently mature to understand the evils that surrounded him at Court and to understand and love the virtue of chastity. Mugagga and Kizito, and their fellow-page from the audience hall, Gyavira, all good-looking boys, were special objects of Kabaka Mwanga’s unwelcome attentions but, encouraged by their fellow Christians, had managed to stand firm against both blandishments and threats. Like his companions, the little Kizito, aged about four¬teen and youngest of the martyrs, had no illusions about the danger of resisting his Kabaka’s evil desires. He was constantly beseeching Pere Lourdel to baptize him because, he said, the Kabaka would not think twice about putting him to death. The priest put him off, tel¬ling him that he was too young to know his own mind and also in¬sufficiently instructed; but, refusing to be discouraged, the lad persisted with his entreaties. On one occasion he stayed the whole night at the mission, declaring that he would not leave until the date for his baptism was fixed. On another evening, Lourdel was only able to get rid of him by taking him in his arms and putting him out through the window. Finally, yielding to the boy’s importunities and moved by his obvious sincerity, Pere Lourdel promised to baptize him in a month’s time. Before the month was over, Kizito was both bap¬tized and a martyr. It is gratifying to note that, although Nyika remained and died a pagan, Kizito’s own father, Lukomera, was inspired by his son’s heroic sacrifice. One day after the end of the persecution, he asked Michael Nsubuga, another son, to which religion Kizito had be¬longed. Being told, ‘the French religion’, he urged all the members of his family to become Catholics. Honorat Nnyonyintono (castrated) Denis Ssebuggwawo (speared) and James Buzabalyawo had been barbarically treated probably to intimidate the rest of the Christians. But as for Kizito, as young as he was had been somewhat unnerved by these barbarous treatments. On seeing all these, Honorat Nyonyintono, Charles Lwanga, Andrew Kaggwa, Nasibu and other leading Christians advised the younger pages, Kizito inclusive to flee from the Court for the time being. These, how¬ever protested that to do so would be equivalent to denying their religion. This indeed became true because when the Kabaka ordered all pages to be assembled and Christians to separate from non-Christians, Charles then, taking Kizito by the hand, and closely followed by the other Christian pages, he walked calmly to the spot indicated by the Kabaka. After the sentence, Christians were at once tied in slave yokes and led away to Namugongo to be burnt. From Munyonyo, where the sentence was passed, Kizito, at 14 years, together with fellow Christians matched first to Mmengo (about 7 miles) then to Namugongo another distance of about 20 miles with chains, slave yokes, etc around their necks, hands and legs. Kizito walked all the way to Namugongo and was burnt alive with other fellow Christians on the Ascension Thursday, 3rd June 1886. It is gratifying to note that, although Nyika remained and died a pagan, Kizito’s own father, Lukomera, was inspired by his son’s heroic sacrifice. One day after the end of the persecution, he asked Michael Nsubuga, another son, to which religion Kizito had belonged. Being told, ‘the French religion’, he urged all the members of his family to become Catholics. He himself became a fervent Catholic and a catechist, converting the whole of the village in which he dwelt. The villagers flocked to listen to his instructions and on Sunday evenings he led them and his family in the recitation of the rosary.